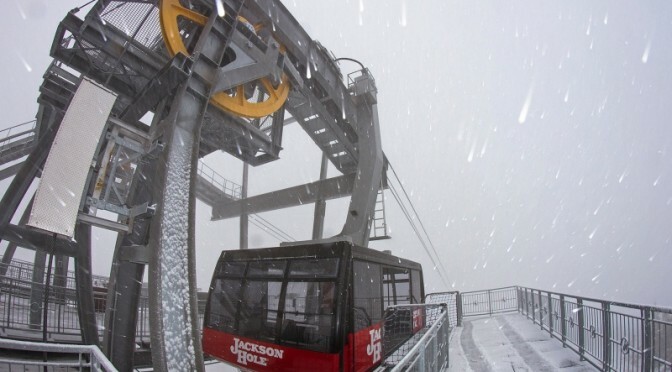 Teton Village, WY – An avalanche occurred this morning in-bounds on open terrain at Jackson Hole Mountain Resort (JHMR) in Wyoming, burying a number of skiers. The slide, which occurred in the southern end of the Expert Chutes, was reported at approximately 9:55 a.m., and Jackson Hole Ski Patrol and staff were on the scene in less than five minutes. Multiple skiers were caught in the slide, and five individuals were buried to varying degrees, JHMR officials indicate. Patrollers swept the scene with beacons, two avalanche rescue dogs and a Recco receiver before beginning a larger search with probes to verify no other victims. By 11:20 a.m., ski patrol wrapped up the search but the Expert Chutes remained closed. No significant injuries were reported. Thunder Lift also remained closed for the day on Saturday as avalanche control efforts continued in the area. “We thank everyone who helped support this incident today; safety of our employees and guests is always our number one priority,” JHMR officials concluded in a press release. 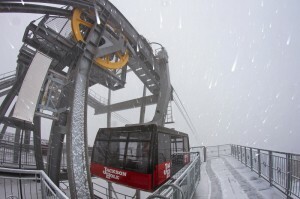 An in-bounds avalanche in 2008 claimed the life of a Jackson Hole season pass holder, the second unintentional avalanche that day in the resort’s Toilet Bowl area. In January 2010, a 20-year veteran of Jackson Hole Ski Patrol died in a slide while conducting avalanche mitigation efforts at the resort.